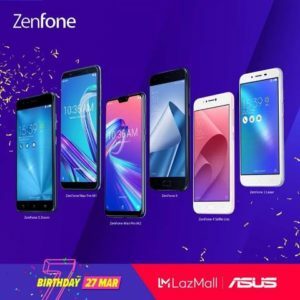 ASUS Philippines joins Lazada in the celebration of its 7th year for the whole month of March. On March 27, shoppers can expect exclusive, limited-time, discounted offers on ZenFone products. In addition, some of the renowned Battery Kings from the ZenFone Max family are part of the sale too along with a couple of ZenPower products.